<i class="fa fa-tags" aria-hidden="true"></i> Site Tags: How To's, Tutorials, Android, Windows, Tips and Tricks, Cryptocurrency, APK, iOS, iPhone, iPad, iPod Touch. 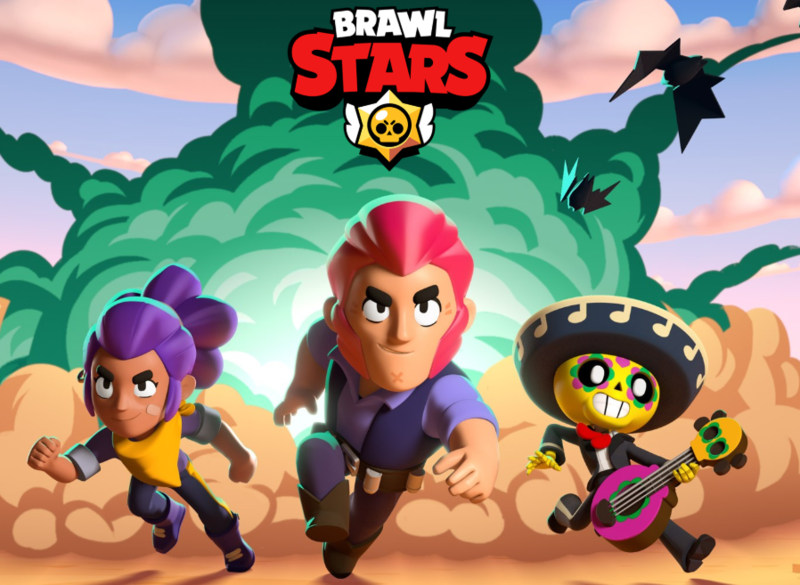 Does anyone play Brawl Stars? It is a really awesome mobile game. So many unique and different events to play as a 3 vs. 3 battle, duos, or event solo showdowns! I really recommend checking out this game Supercell made. One of their best games yet! I have 2500 trophies and I been playing for a month! Welcome to the ADM Team Chapion! Chapion is the first member of Promotion Paradise to be appointed as staff and as an admin. He will be helping me co-manage the community. I am really excited about what he will bring to the community. This policy is in place to maintain respective affiliation between your community and ours. Failure to comply with any component to this policy will result in removal of your affiliation and benefits revoked. 1.) Before attempting to affiliate with us, your URL and image must be allowed on our Free Ads section based on our AD Guidelines. 2.) You must Private Message me your site URL with your 88 x 31-pixel image to advertise in our affiliates section. You do not but it is recommended if you could provide the HTML code ready to paste in our template. We can covert the image to HTML for you if this is unavailable. You are required to have the exact image size! 3.) You must include our 88 x 31-pixel image on your affiliate section within 72 hours once we updated our section. 72 hours is a fair amount of time and we will cancel the affiliation if you flake on adding our image to your section. If you got the time to add our image, you are welcome to message me through our affiliation conversation. 4.) You must visit our forums at least once every 30 days. This component is required on my end as well and I will visit your site once a month at the very least. If you notice we are inactive, you can do the following: (1) message me saying to log in and provide 2 posts. (2) cancel the affiliation on your behalf for us breaking the policy. We do not require you posting on our forums to keep the affiliation and your benefits. We only require a respectful visit once a month. 5.) You must remain an outstanding Promotion Paradise user. An outstanding user means not breaking any guidelines in a serious manner. Minor offenses are acceptable since everyone makes mistakes. If your account becomes banned. This will make the requirement unsatisfactory. 6.) Your URL must be functional (no more than 72 hours of downtime). If the URL malfunctions or the site appears to not exist for at least 3 days. We will consider it offline and the affiliation will be canceled. You are solely responsible to inform me of any circumstances or server migration as a healthy partnership. I will allow additional days granted with communication to make a legal exception. Exclusive discount: 10% for any future service. Exclusive discount: Get an extra $1 to your Amazon voucher for be an amazing parnther (e.g. Amazon vouncher is $2 you will get $3 instead). This year will be the year for Promotion Paradise to thrive! I have added a new management policy to keep the Free Ads section active and clean. All existing threads are given the 14 days of today due to downtime and no policy was established when they submitted. I have made the content service and community section inactive. When the community becomes active again will reconsider an opening. I do plan a free review service within a couple weeks. I do apologize for the lack of motivation in managing the forum. This community does hold a special place in my heart and a place for new and old webmasters to proudly show of their sites and businesses when their budget cannot afford expensive advertising. Promotion Paradise is not going anywhere anytime soon. I am busy with another project which is an RPG game I am looking forward to developing. If you are interested in working with me on Promotion Paradise please let me know! The main importance for this community right now is the Free Ads service. What are great products to do promotions or brand advertising? I think the printed or custom logo blanket throw may be a good idea. I recommend Zengbo blanket manufacturer, which has been providing professional on-site throw blanket design, manufacturing, packaging, shipping, and warehousing for global brands, distributions, clubs, companies, organizations, and wholesalers at a competitive factory direct price since 2008. We can help you design, develop and manufacture personalized fleece blankets bulk you need from start to finish. To start this thread off, here's a little back story. This forum existed about 8 years ago at the peak of forums. I created it with a small team and we were once a success. Sadly a huge mess happened and it was deleted. 8 years later and we are back. It's 2018 and I think forums are not done nor will they ever be done. We are always open to suggestions if there's something you feel we are lacking on or simply see a chance for improvement. There is a forum for that called "Suggest/Bugs". Usergroups will be created for those who wish to find themselves wanting to play a specific role in our community. Those will come later once activity grows as we all currently play an active roll. Now, it is 2018, so we don't expect people to find as much excitement in forums as before. This is where our Discord Server comes in. There you can find people to actively play games with and talk about absolutely nothing or a specific subject. We aware the theme isn't so "modern" compared to all of the others I've seen on here or just in general. This theme was my favorite theme 8 years ago and I decided to have it made/converted to work with newer forum software. I may change things up as time goes on, but for now it's staying the way it is. I'm also aware "general forums" don't have much of a niche. However, if you're like me and are interested in several things that are far and few between, a more general forum is where I would like to be. I enjoy gaming(that's how I spend most of my time), I build cars, I am heavily into photography, and most of all I just enjoy hanging out. I am not trying to build another reddit at all or else I would just go on reddit myself, however, I am trying to build an authentic community! Thank you for reading and we hope to see you on the boards! I plan to make sure to post all current updates here as well so for those who are possibly interested in joining, but just aren't sure, maybe the updates I post will convince you to hop on and give The Forums a shot. 12/15/2018 - UPDATE: We now have an advertisement section! You are allowed to advertise your forum, website, or your discord server. However, you must have at least 5 posts before creating an advertisement. The forum is located towards the top to help gain the most exposure for you. I found this forum from Forum Promotion! I apologize for the poor activity since something personal in life came up. We are back now and going to make some great improvements! We have reduced the gem amount for the Amazon Gift Card voucher from $5 to $2 to make it easier for users to redeem! We are working on the awards system for the community. A place to discuss web development, marketing, and more.